USS Albany (CA-123) was a United States Navy Oregon City-class heavy cruiser, later converted to the guided missile cruiser CG-10. The converted cruiser was the lead ship the new Albany guided missile cruiser class. She was the fourth ship to carry the name "Albany." On 30 June 1958, Albany was placed out of commission at the Boston Naval Shipyard to begin conversion to a guided missile cruiser. On 1 November 1958, she was redesignated CG-10. The warship spent the next four years at Boston undergoing very extensive modifications as part of the conversion. The ship was recommissioned at Boston on 3 November 1962, Captain Ben B. Pickett in command. On 1 March 1967, she was decommissioned at the Boston Naval Shipyard once again to undergo extensive modifications. Some 20 months later, on 9 November 1968, the guided missile cruiser was placed back in commission at Boston, Captain Robert C. Peniston in command. In 1973 the ship was again decommissioned for overhaul at the Philadelphia Naval Shipyard. It was recommissioned in May 1974 and homeported in Norfolk, VA under the command of Captain John J. Ekelund. Shortly thereafter it became the flagship of the 2nd Fleet. She was decommissioned 29 August 1980. A portion of her bow resides at the Albany County Fairgrounds in Altamont, NY. 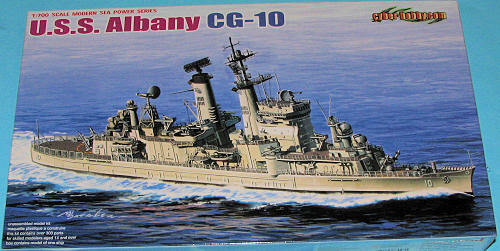 Adding to their growing 1/700 ship catalogue is this new one of the USS Albany. 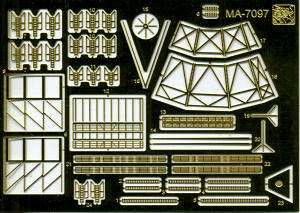 The kit has the usual photo etch fret, which includes some upper deck railings as well as radars and the usual mixture of bits. One of these days, Dragon/Cyber-hobby will realize that most ship modelers will want a full deckload of p.e. railings and include those in these kits. Not all the p.e. has to be used as some is simply a finer detailed replacement for plastic parts. As usual, the kit can be built as either a waterline or full hull version and a display stand is included for the latter. 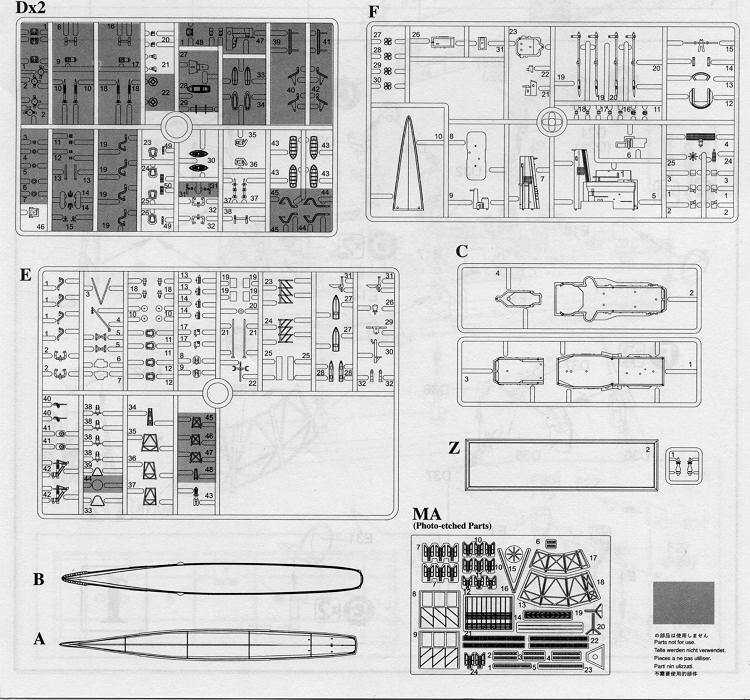 This is a rather busy looking ship and so there are a lot of small parts, The various areas of the superstructure can be assembled completely prior to installation on the main deck, so that might ease painting. Instructions are well done and have detailed drawings for some areas. Gunze paints are used for references and the small decal sheet is quite nicely done. A very nice addition to the lineup and one wonders if perhaps Dragon/Cyber-hobby might not use this hull as a basis for the original heavy cruiser in the future. Thanks to www.dragonmodelsusa.com for the preview kit. Get yours at your local shop or have them order one for you.